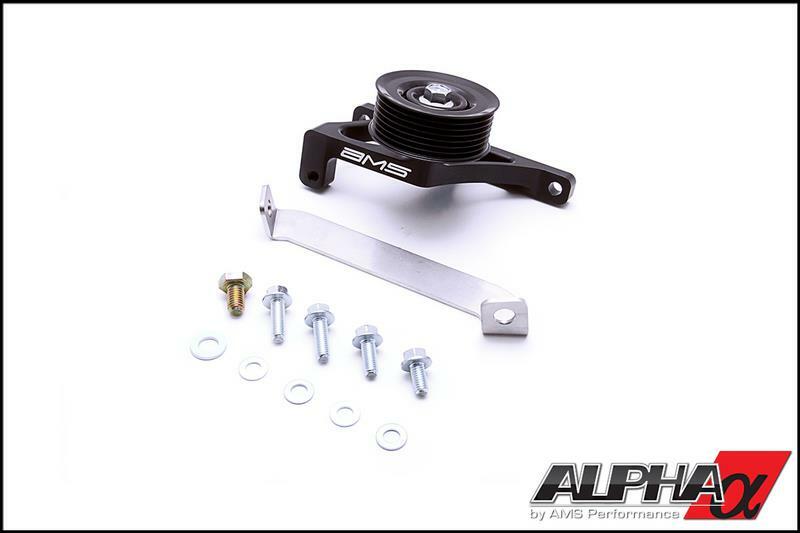 The Alpha Performance A/C Delete Kit allows for removal of the compressor, lines and condenser for a weight savings of over 20lbs! 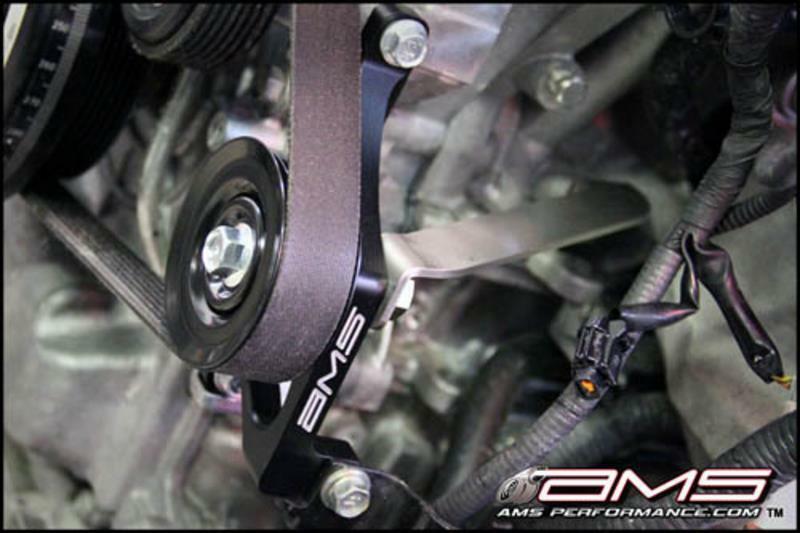 The black anodized, billet aluminum mounting and stainless steel support brackets are lightweight and durable for a long life. This kit is easy to install utilizing an OEM Nissan pulley and retains your factory serpentine belt for reliability and simplicity. We even integrated a provision to retain the factory turbo outlet pipe mounting location found on the factory air conditioning compressor.